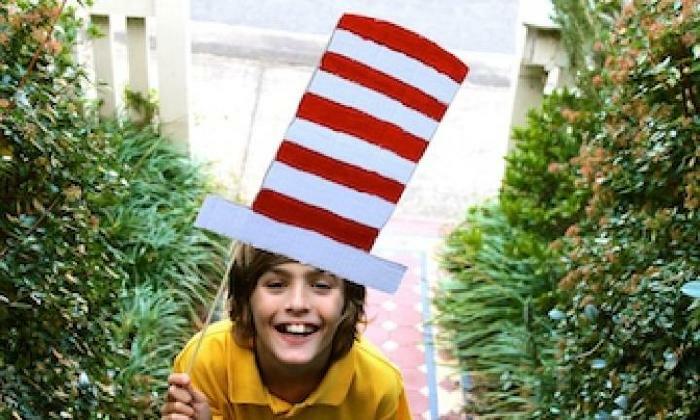 With book week just around the corner you wouldn’t be alone if you’re crazily scouring Pinterest for simple book week costumes that won’t cost you a fortune or require a seamstress to produce. 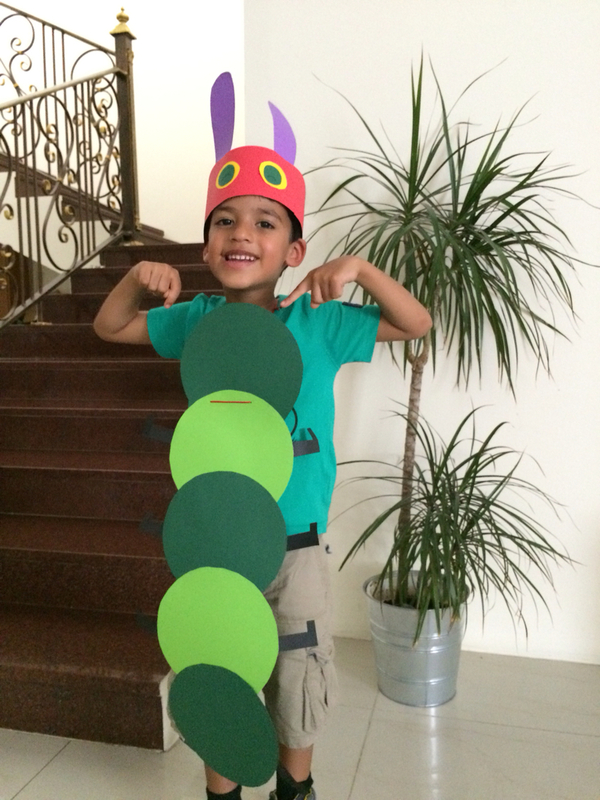 Fear not, I’ve collected some of the best boys book week costumes. 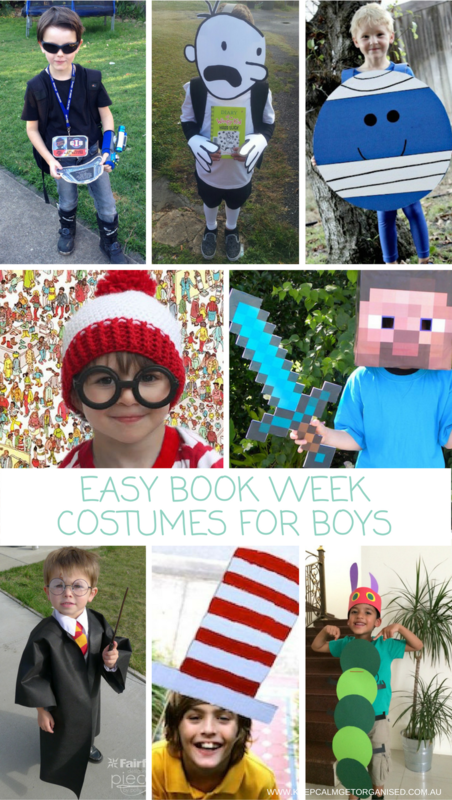 I’ve collated some of the best boys book week costumes I’ve come across so far, and linked them all here in one spot for you. If you’re looking for easy girls book week costumes, I’ve got you covered for that too (although any of these would be great for girls too). 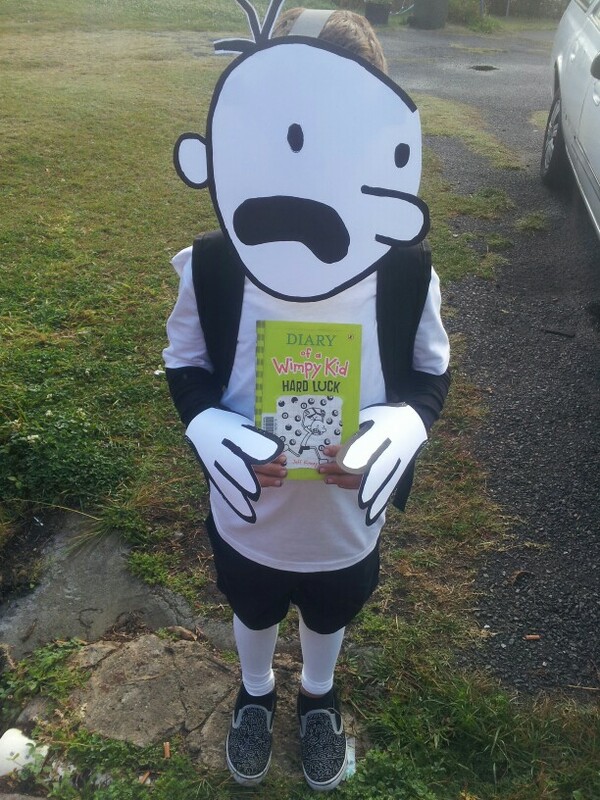 Unfortunately I couldn’t find the original source of this idea but it’s all over Pinterest and is a super simple book week costume for any Diary of a Wimpy Kid obsessed boy. You don’t even need any significant drawing skills, just a thick texta and some cardboard plus some plain black and white clothes. Cheap and easy! This is what my son wants to wear for book week but I don’t think it’s going to happen this year. While comparatively it is a cheap and easy Minecraft dress up, it’s still going to require a couple of hours of work. If you don’t have a house full of sick kids then maybe you’re up for the challenge! The tutorial here is awesome and even has printables for you to use. 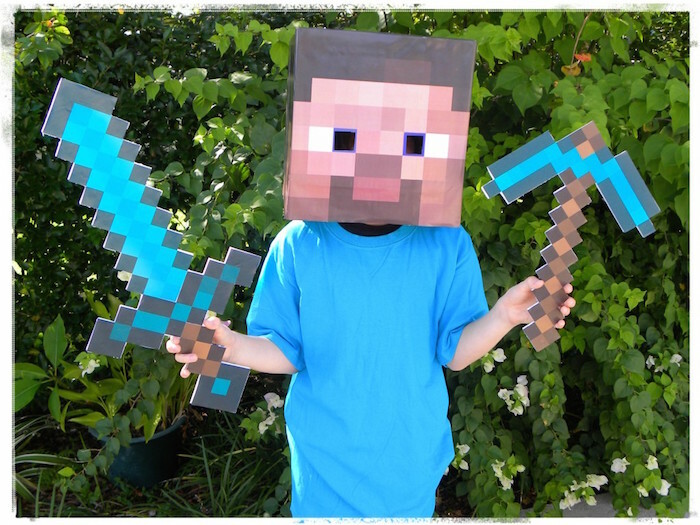 You can make the Steve cardboard head and there are instructions for a DIY Minecraft sword and pick axe. While my son wanted to be Minecraft Steve, we’ve agreed on a compromise of Zac Powers. I’ll be making a ID card and spy pad and sending him off in black sunnies and a black t-shirt. 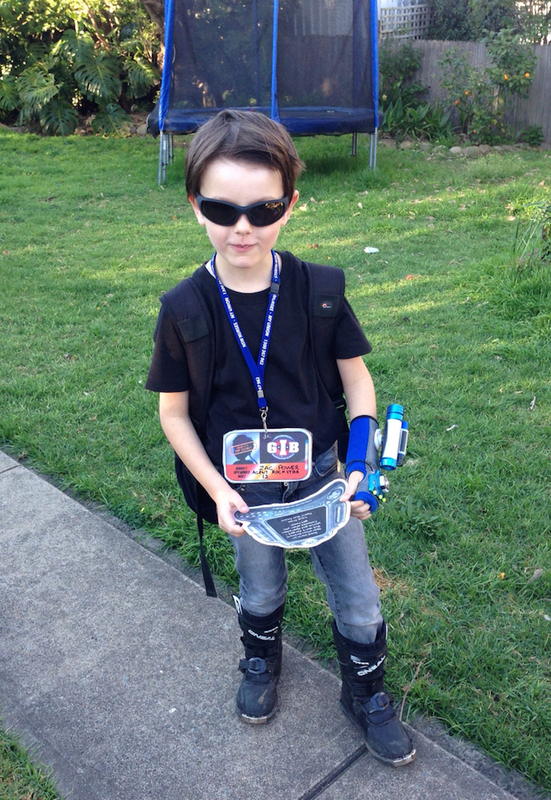 If you’re looking for easy, a Zac Powers book week costume is definitely the way to go. This Zac Power inspired dress up is from Pinterest but sadly no original source was listed. This would be so easy to make with a bit of cardboard and a stapler. This picture was uploaded by a Pinterest user so I couldn’t find a tutorial but I reckon you could trace a few circles and make a headband and you’d be done. 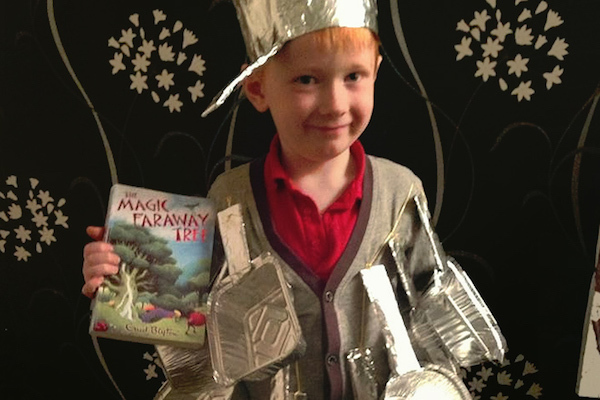 My kids love The Faraway Tree and this Saucepan Man Costume is super simple to make. 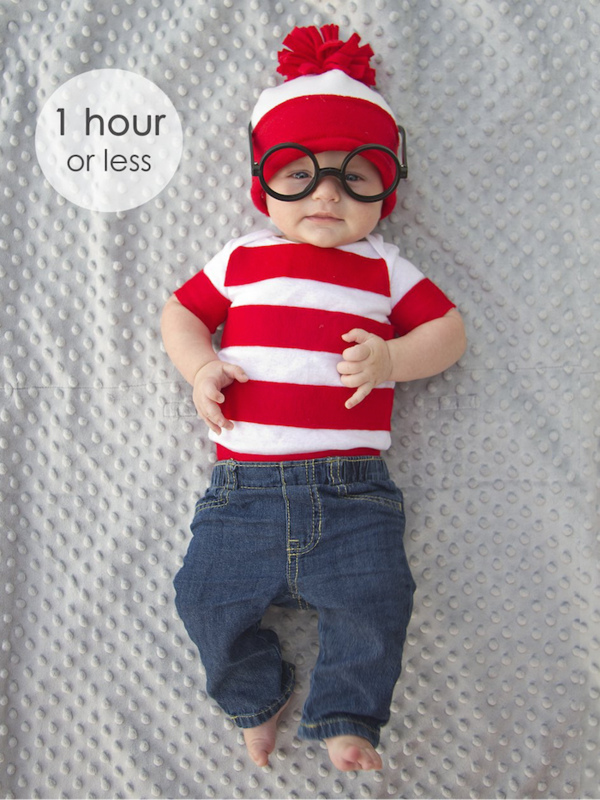 Use foil pans rather than real ones so that your little one isn’t weighed down all day! This image is from Amy from the blog In My Bubble which isn’t active anymore. 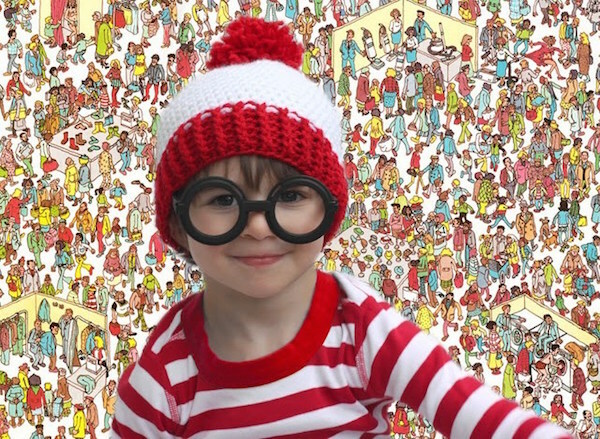 This one is a really easy option for any Where’s Wally fans. Grab a striped t-shirt or jumper, some novelty glasses (check out your local discount store) and a red beanie (add your own white strip). Find instructions for this crocheted hat here. Or you can follow the instructions to create your own beanie and outfit here if you’re more adventurous (how gorgeous is this bub!!). 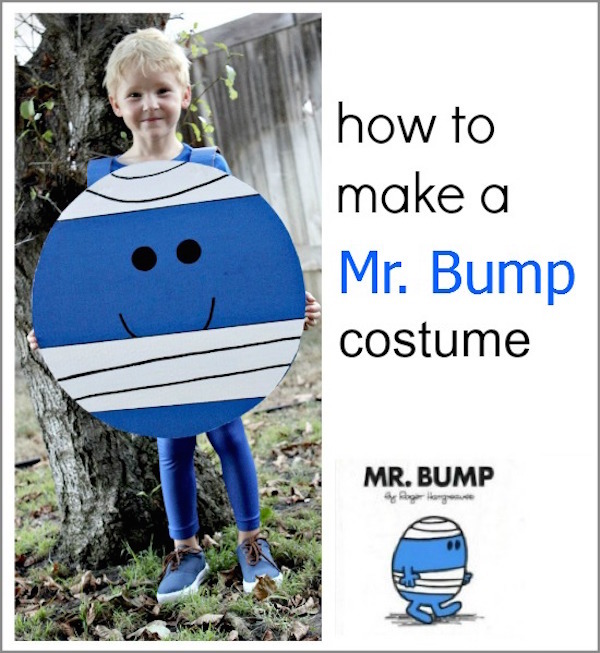 I love the Mr Men series and this Mr Bump dress up is fun and pretty simple. You just need some cardboard and a black marker and you’ll be up and running in about 20 minutes. The same concept could be used for most Mr (or Miss) series characters like Mr Bump or Mr Happy. 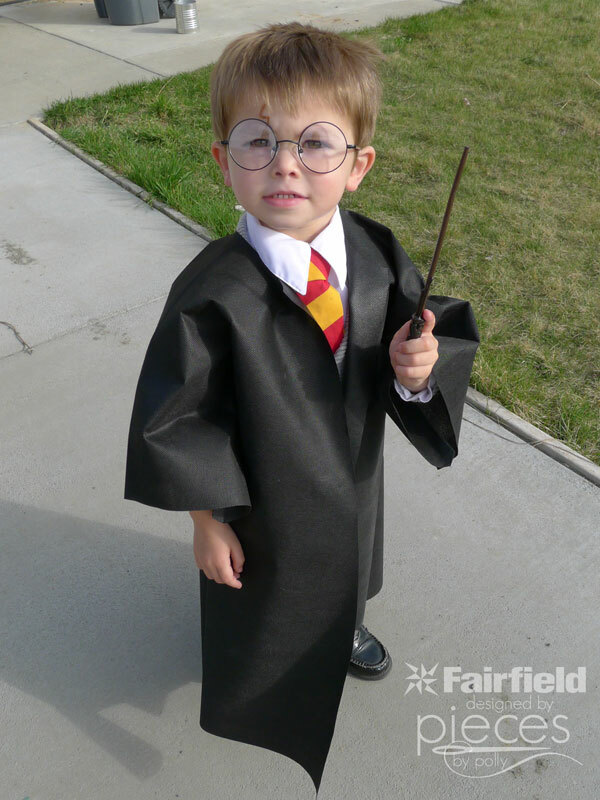 This super easy Harry Potter dress up has a no sew option which you can find here. Grab a striped scarf and a wand and you’re set. It’s a great last minute book week option. You can also find a ton of Harry Potter dress up inspiration on Pinterest here. Again, you can find one online here* if you’d prefer.